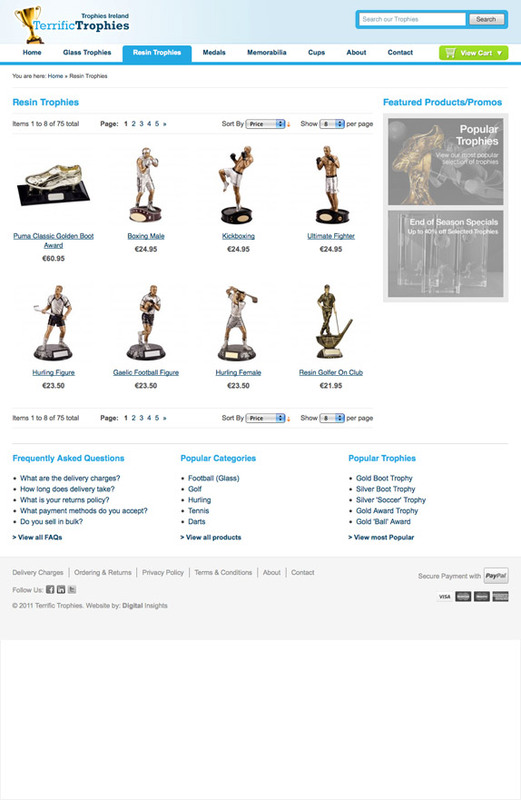 Terrific Trophies is one of Irelands top Trophy, Medal and Memorabilia websites. 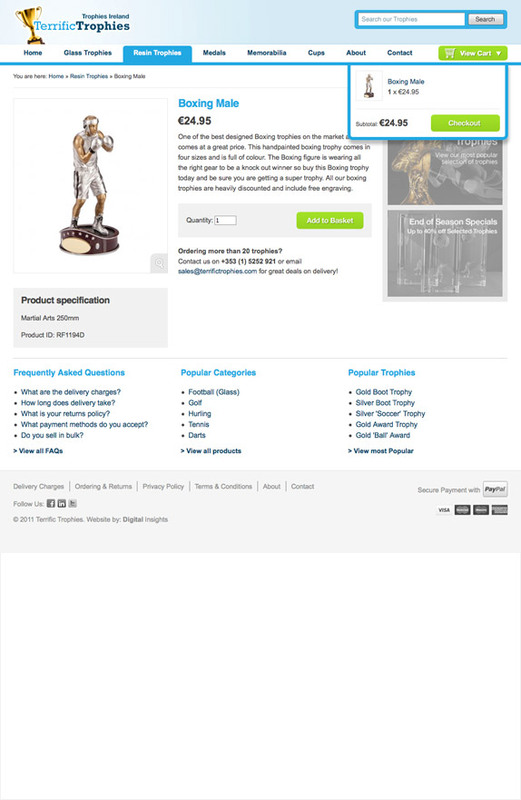 It sells direct to clubs, schools and re-sellers. 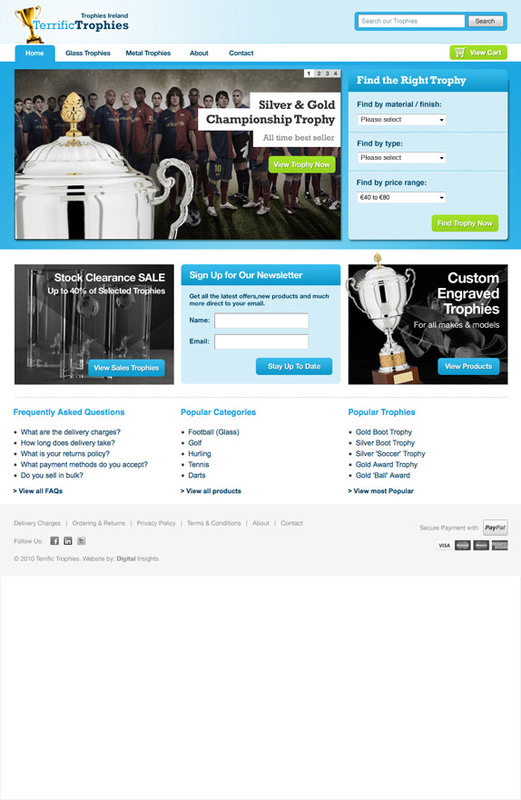 Project objectives: Terrific Trophies required a rich eCommerce Platform that was self-managed with rich marketing features such as time limited sales and discounts, redeemable coupons, email marketing and bulk buying discounts. They also required integrated stock management and sales reporting and accounting services. We chose the Magento platform as it delivered all the functionality required and the project was delivered in 6 weeks from start to go live.